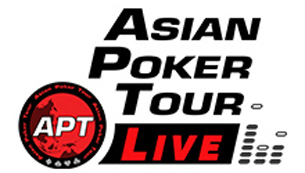 Day 1C delivered the biggest total number of entries in the APT Asian Poker Series Manila 2015 Main Event with 142 hopefuls signing up on the last starting day of the highlight tournament of the nine-day poker festivities at the Resorts World Manila in Pasay City, Philippines. Yah Loon of Singapore and Charles Lesmana of Indonesia lead the pack of 84 survivors from Day 1C. All of them will join the other qualifiers from Day 1A (52) and Day 1B (46) for a total of 184 players re-starting play on Day 2 set on Monday at 1:00 PM. 341 entries joined the main event to create a prize pool of PHP 15,215,400 with the lion’s share of PHP 3,758,200 going to the champion. Only 36 players will make the money round by end of Day 2. Loon and Lesmana finished with 89,850 and 77,700, respectively, to end the day as No. 1 and No. 2 in the chip rankings for Day 1C. Loon was one of the early chip leaders in the first two levels of play. Later on, the Singaporean outplayed Euryd Rivera on a board of 10♠ 2♠ 4♣ 8♥ with Loon betting 2,450 but faced a raise of 5,500 from Rivera. Loon re-raise shoved, as a reply and the Filipino just couldn’t commit all of his chips. In another huge pot hand, Loon made the straight with 7♣ 6♣ on the board 3♣ A♣ 5♠ 4♥ 2♠ and got his value bet called on the river. Lesmana actually played in Day 1A but was unlucky as he busted out in that starting day. In Day 1C, the Indonesian played much better poker. In one of the hands during the middle levels, Lesmana caught an opponent bluffing on the river on a board of 9♣ 10♦ 9♥ 3♠ K♠. In the final level, he turned a straight with just 4♣ 6♣ on a board of 8♠ 3♥ 7♣ 5♥ 2♣ busting out Filipino pro Czardy Rivera, who had K♠ K♥. For complete chip counts and to recap the action for all Day 1s, check the Live Updates page. 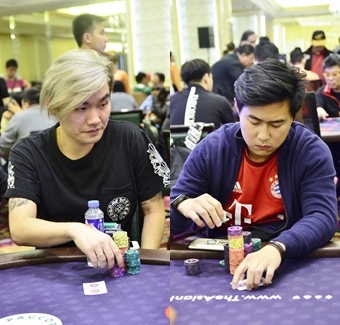 All the main event Day 1 survivors return Monday when two side events are also on schedule; the NLHE2 event with PHP 19,800 buy-in at 3:00 PM and the WeLoveSport Deep Stack Turbo with PHP 5,500 buy-in at 7:00 PM. Check Event Schedule page for complete details.